Mush Mums making Brunch work! 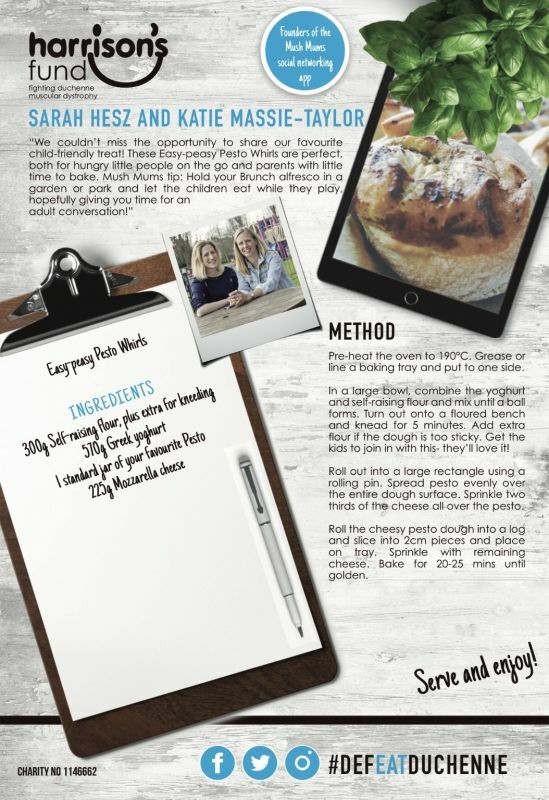 Please join us for Harrison's Brunch this year and check out the yummy recipe below! We have been so lucky this year that many celebrities have been keen to show their love for Harrison's Brunch! Many have gotten involved by sharing their favourite childhood meal with us, which you can find in our celebrity Brunch video on these pages. One of the most enthusiastic supporters of Brunch has been TV and Radio legend, Chris Tarrant. 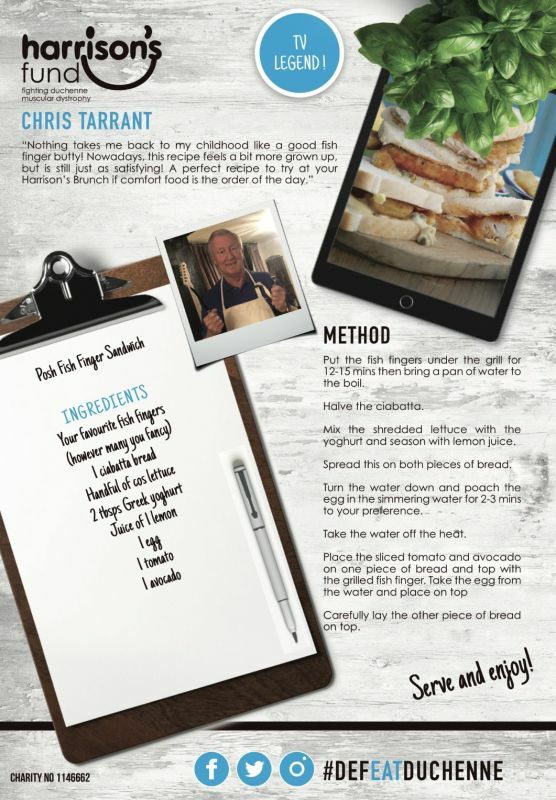 Here is his delicious fish and chip butty recipe inspired by his favourite childhood meal, fish fingers and chips. We think this recipe is a real corker if you're in need of something quick and delicious- enjoy!